Irene Gallahar, age 45 passed away Sunday, January 27, 2019 at her residence, surrounded by her loving family and under the care of Compassus Hospice. Irene was born on February 26, 1973 in Chardon, Ohio to the late Richard G. Haueter and Patricia Brown Gallahar. She was reared in North Georgia and had lived in many states before moving to Hinesville in 2016. Irene was an animal lover and a big kid at heart who enjoyed life to the fullest. She was a homemaker who loved being at home and spending quality time with her children and granddaughter. In her spare time, she enjoyed solving word search puzzles, putting together jig saw puzzles and collecting stuffed animals. She was preceded in death by her parents and sister-in-law, Pamela Maroney. 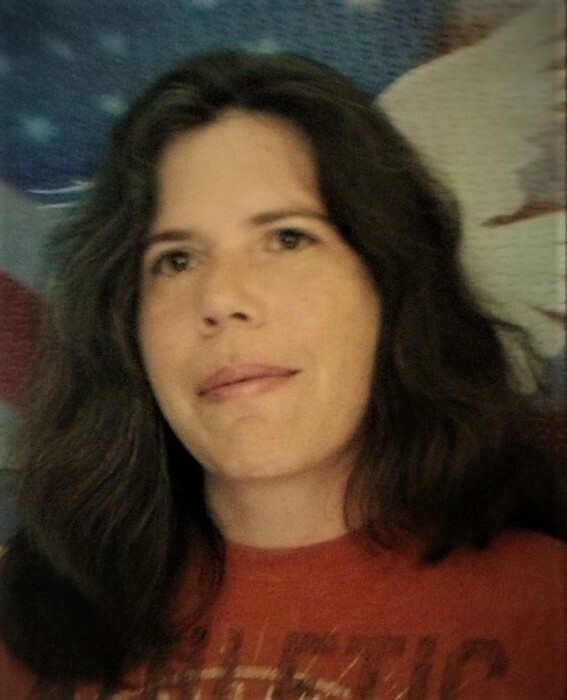 She is survived by her husband, Billy Joe Gallahar, Jr; sons, Robby (Taylor Barton) Freeman, Billy Joe Gallahar, III; daughter, Christina Nicole (Jeremy Criss) Gallahar; brother, William “Bill” (Kay) Hefley, Jr; sister, Lisa Appleton; sisters-in-law, Lisa (Scott) Steffan and Deborah England; grandchildren, Jasmine Nicole Criss and Arya Renee Barton; nieces and nephews, Linda Ann Stillwell (Jeremy) Hallock and family, Amber Stillwell (Jeff) Almeida and family, Timothy Stilwell, William “Will” Hefley, III, Christopher Appleton, Peyton England, Cameron England, Connor Harris, Ryan Harris, Mychael Peacock. Low Country Cremation and Burial is serving the Gallahar family.